Adams/Clarke/Lemmel; Akers; Bowles/Hoyle; Brooks/Johnson/McFa; Brumley; Burke/Heath/Lange; Carmichael; Coats; Crouch; Davis;... Very Good. In very good packaging. 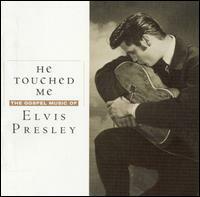 Presley, Elvis-He Touched Me: Gospel Music of Elvis by Presley, Elvis.